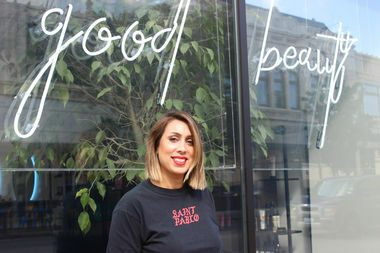 Hair stylist Carla Alvarado is behind Good Beauty, 2777 N. Milwaukee Ave., which debuted to the public July 28. 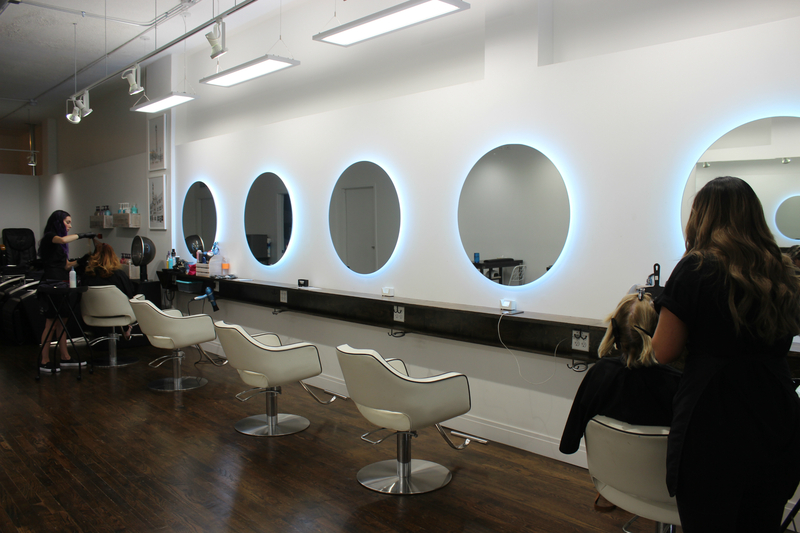 LOGAN SQUARE — A beauty salon with minimalist vibes is the latest business to join the Mark Fishman-owned rehabbed building that spans the 2700 block of North Milwaukee Avenue in Logan Square. 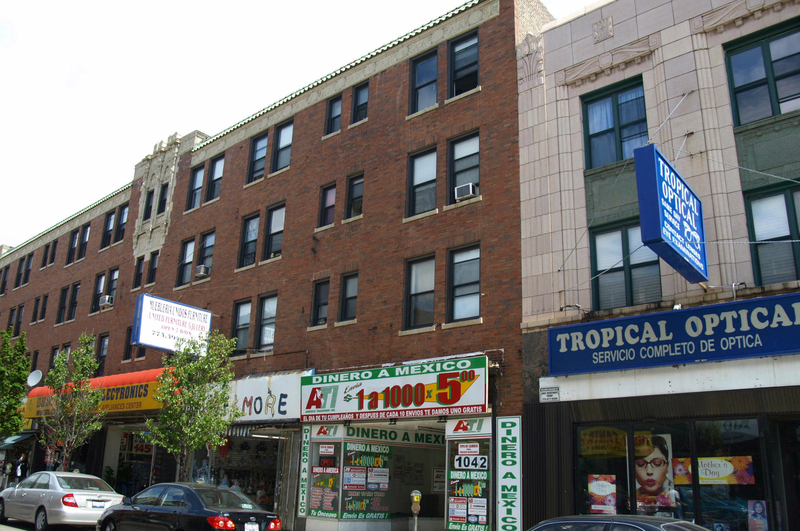 Alvarado ran Hush Salon & Spa, 2643 N. Clybourn Ave., in Lincoln Park for about seven years before deciding to move west in the spring. 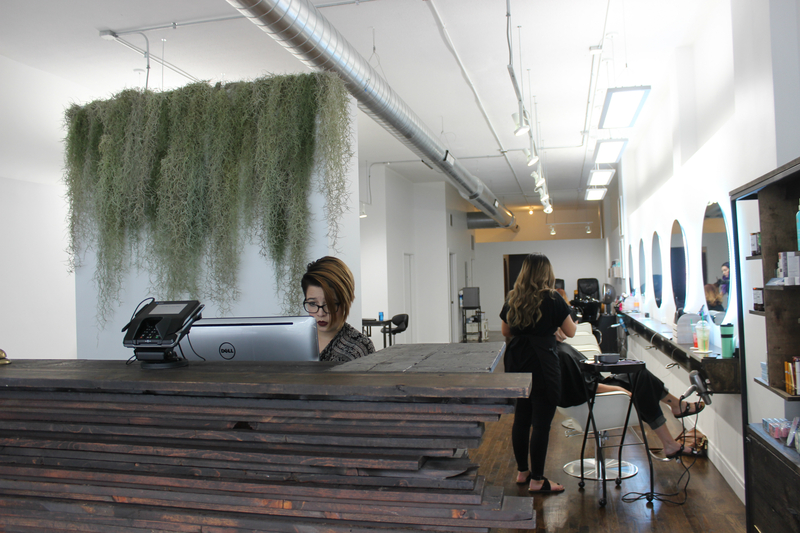 Within 10 days of signing the lease on Milwaukee Avenue, Alvarado closed Hush and transformed the Logan Square storefront into a minimalist's dream with stark white walls, wooden and neon accents and a hanging moss wall behind the cash register. "I love this neighborhood and I knew I always wanted to do something over here, but it was just about finding the right location," Alvarado said. A former resident of Logan Square, Alvarado said she was attracted to the neighborhood for its walkability, community feel and great restaurants. "I like the energy in Logan Square. It's very artsy," said Alvarado, who currently lives in Norwood Park with her husband and business partner, Ryan, but grew up in suburban Melrose Park and St. Louis. Alvarado has hair styling in her blood. Her mother was a hair stylist for many years, and her grandfather and great-grandfather worked in barber shops. As a tribute, Alvarado included a black-and-white photo of her mother, who died of pancreatic cancer in 2002, on the menu. Good Beauty offers everything from haircuts and coloring to waxing and manicures/pedicures. Prices are competitive: A woman's haircut costs between $31-$81, while a no-chip manicure starts at $42. Unlike other salons in Logan Square, Good Beauty doesn't specialize in just one thing, which makes it a "one-stop shop," Alvarado said. "Everyone's welcome. In certain salons, they specialize in curly hair or buzz cuts ... we do everything. So if you want to come for a balayage, we can do do that. Or you want to get a vibrant color, we can do that too," she said. Good Beauty is the latest business to join the building, which has changed quite a bit since controversial developer Mark Fishman of M. Fishman & Co. took it over in late 2015. Coffee shop Buzz: Killer Espresso is aiming to move into 2779 N. Milwaukee Ave. by Sept. 1; Boulevard Bikes is taking over 2769 N. Milwaukee Ave. in the fall. Art gallery Art Star Press moved into 2775 N. Milwaukee Ave. in March. The salon is open 9 a.m. - 9 p.m. Tuesdays-Saturdays and noon-7 p.m. Sundays and Mondays.